Opening Day is the start of a new season, but for one individual, it's the end of an era. 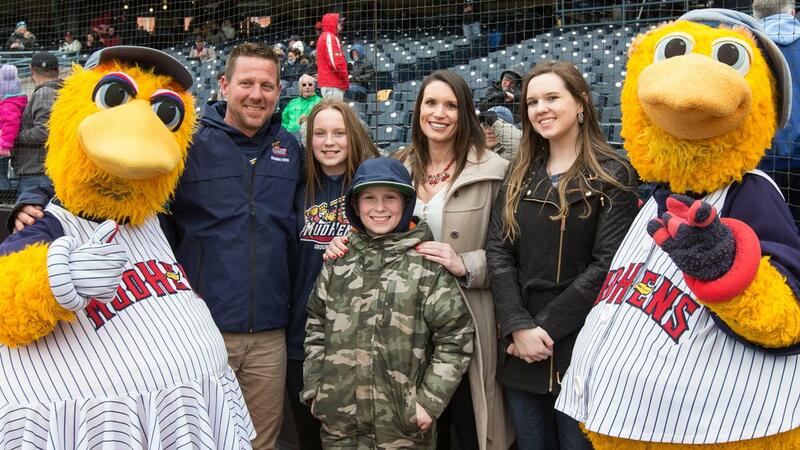 Fifth Third Field Turf Manager Jake Tyler is moving on from Minor League Baseball after 15 incredible years with the Mud Hens. Jake started his career in Toledo in 2004 after spending several seasons with the Tennessee Diamond Jaxx, the Louisville Bats and the Binghamton Mets. Jake and his wife Jessica came to town with their daughter, Riley, but added another daughter, Reagan and son, Cannon, while in Toledo. His children have grown up at the ballpark and have many fond memories here with their dad. After 1,686 Minor League Baseball games, hundreds of sleepover tents, thousands of tarp pulls, an All-Star Game, an on-field putt-putt course, an outdoor hockey rink and millions of fans admiring the field he worked so hard on, we sadly say goodbye to Jake and wish him all the best in his next endeavor. "Remember fans, grass grows by inches, kills by feet. Always stay on the warning track."